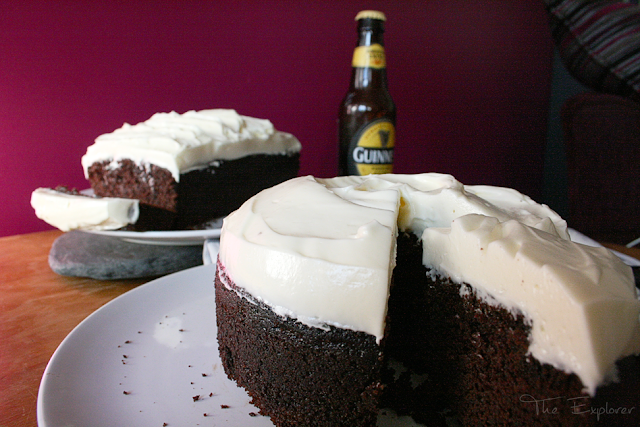 This could possibly be the manliest cake in the world. Which makes it all the more disturbing that it goes down as one of my top 3 – alongside Lemon Drizzle and space to be filled, come at me cakes! 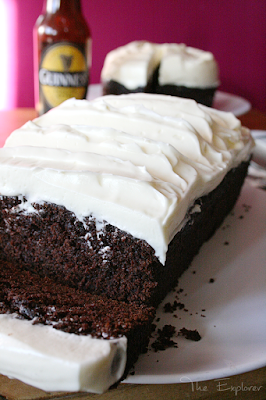 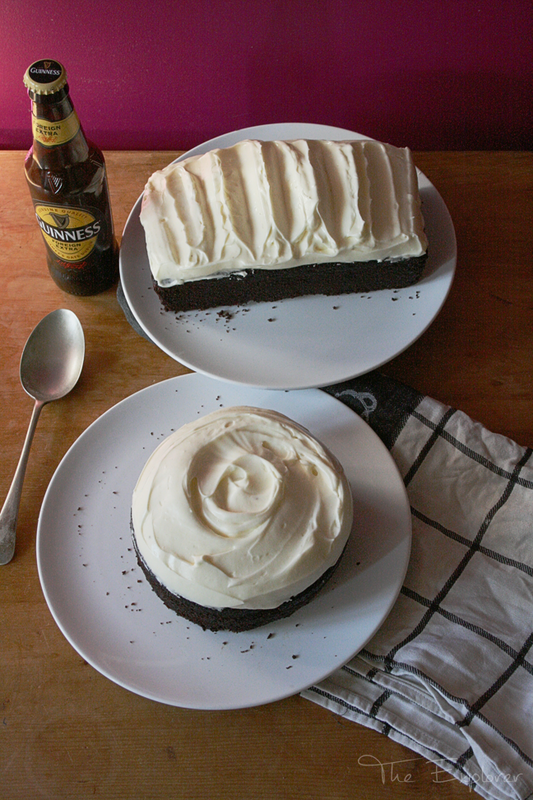 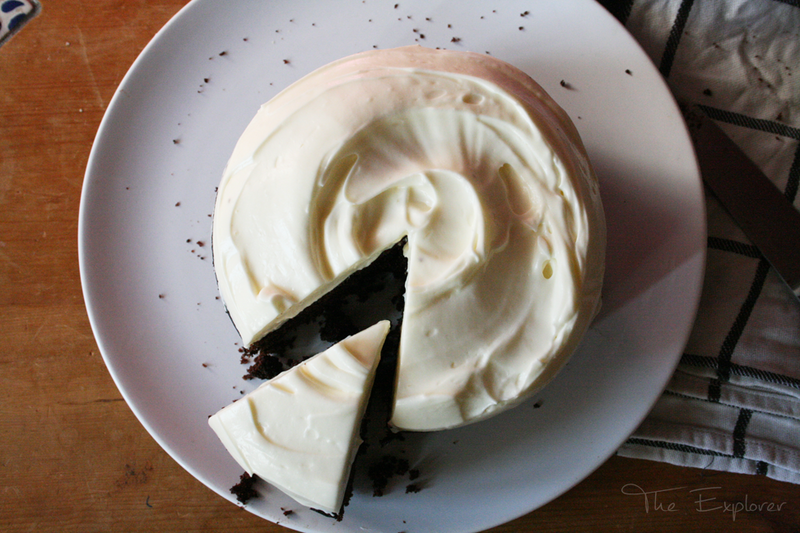 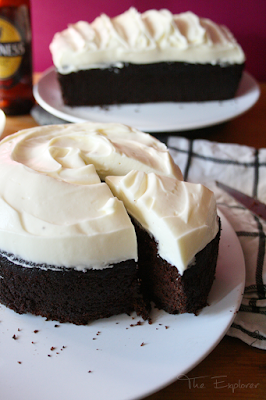 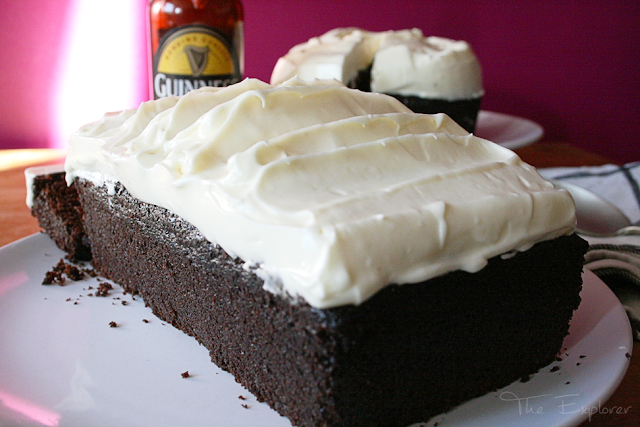 I know that the majority of you will have had your fill of Guinness cake seeing as any time St Patrick’s day rolls around the internet is saturated in the stuff….but what a thing to be saturated in. 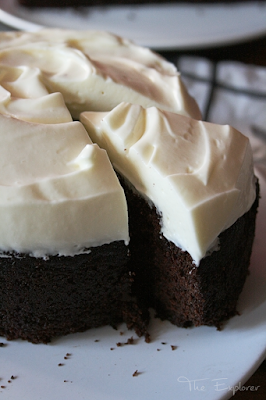 I'm just going to take a minute to think about that. 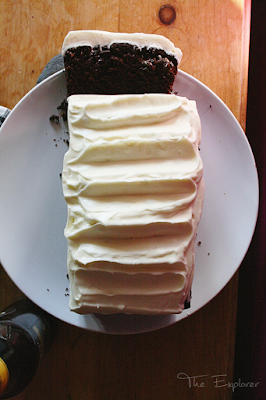 I love everything about this cake, making it, eating it….thinking about it. 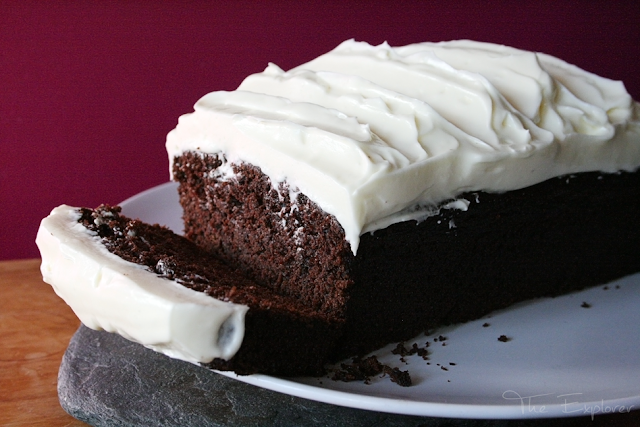 It is gloriously easy to make and is just at that richness level that makes you stop before your second slice. 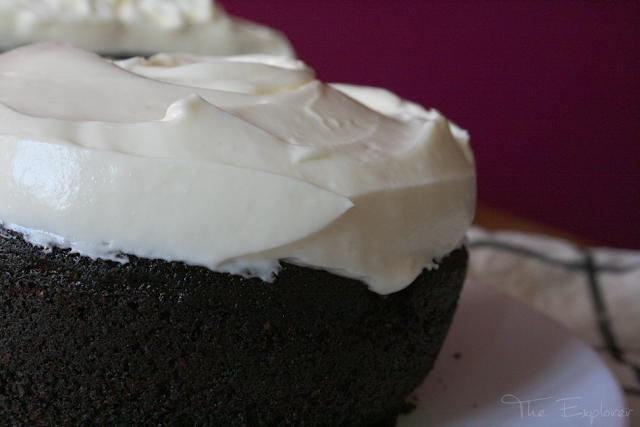 Being quiet a sturdy cake it does advertise for the possibility of severe decoration but nothing bets topping it with a soft, creamy sweet Mascarpone topping. 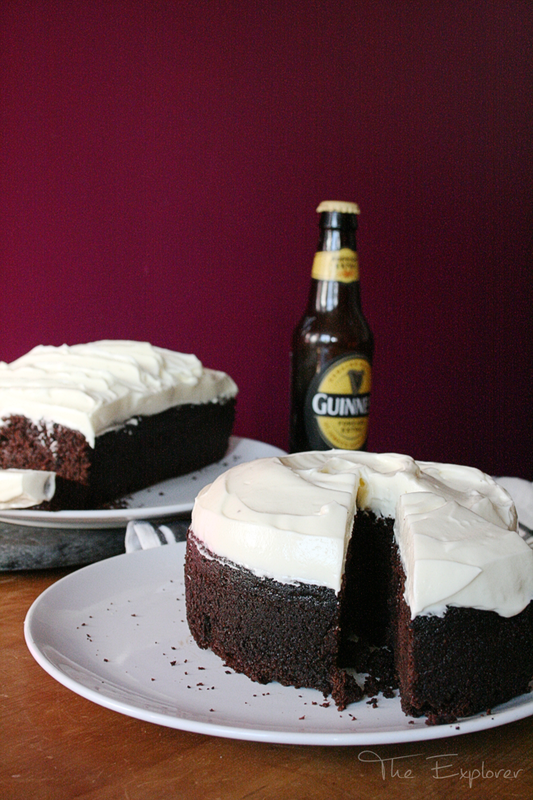 And frankly it’s sacrilege if you do. 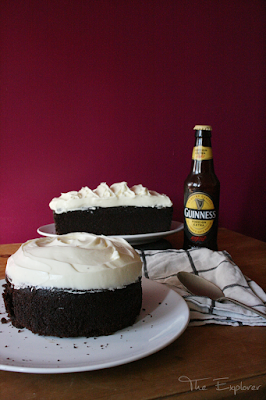 The first time I tried this cake it had be made by the hands of an Irish lady. 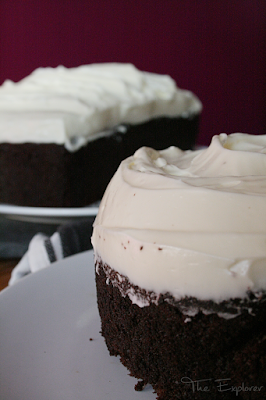 It was incredibly divine and ever since I’ve been determined to nail the recipe. 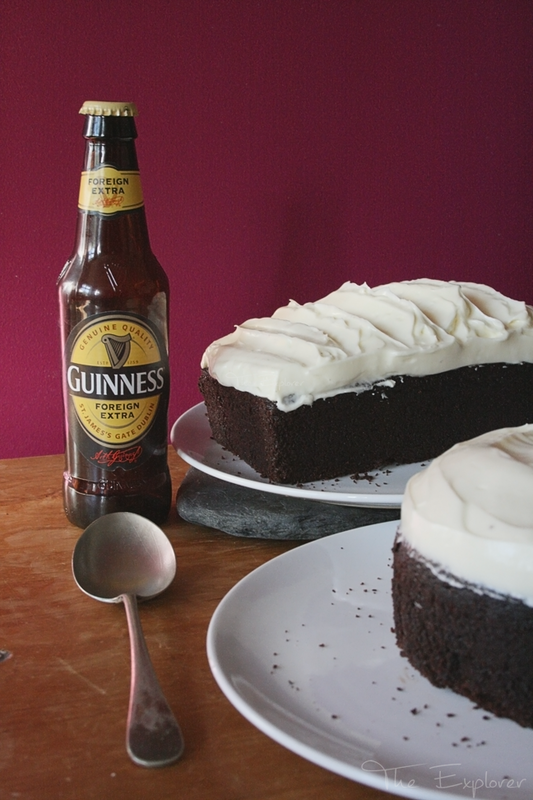 Mr M has now gotten used to the sacrifice of a can of Guinness whenever he gets it in….although he doesn’t complain too much given he gets cake in return! If you’ve never made this cake before I implore you to give it a go, especially as we are coming up to Autumn; it’s the perfect treat after a day running around in fallen leaves. My go to recipe is this one, it's the closest to the real thing I've tasted.